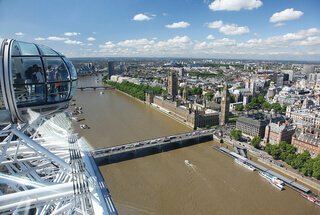 Standing at an amazing 135 metres above the centre of London, the London Eye is one of the worlds highest observation wheels and offers magnificent panoramic views - on a clear day is is possible to see as far as Windsor Castle! A complete full day tour - be the first group inside St Paul's with professional guide exclusive to Premium Tours. 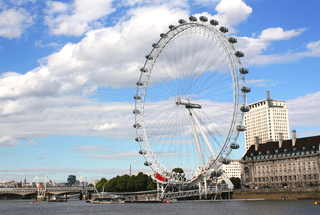 Plus enjoy a cruise on the Thames, visit The Tower of London and take a flight on the London Eye! Including entry to the London Eye, the world's highest observation wheel, with a tour of London on a red double-decker bus. Plus Changing of the Guard, Thames River cruise & more!